At Ellsworth Cooperative Creamery, our team members are more than employees; they are like family and we want them all to succeed. This culture has contributed to the longevity of our staff, whose careers at Ellsworth Cooperative Creamery span 10, 20 and even 50 years! Our Cooperative consists of our corporate offices and two production facilities with retail stores. Our Ellsworth, Wisconsin facility specializes solely in the production of our word-famous All Natural White Cheddar Cheese Curds, both natural and flavored, our All Natural Cheddar Cheese Curd Crumbles and sweet whey powder. Our Comstock, Wisconsin, production facility manufacturers over 80 varieties of small-batch artisan cheeses, including our award winning Red Rind Muenster, Wisconsin Brick and Hot Pepper Jack varieties. Such a diverse operation requires a diverse workforce with varied skills and talents. We offer training and are proud when we can promote from within. 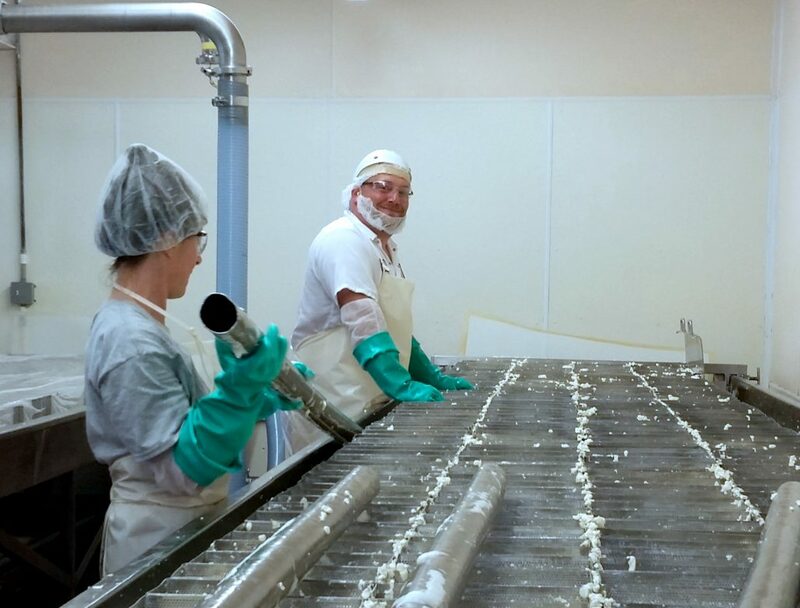 From artisan cheese making assistants, to trained and experienced cheese makers, and cheese packaging to retail customer service — if you’re reliable and hardworking, have a passion to succeed and exceed, and a desire to learn and grow, a career with Ellsworth Cooperative Creamery may be for you! We invite you to consider learning a trade and building your career with us. The very best benefits package, including Medical, Dental, 401k, Life Insurance, Short Term disability Accidental Death and Dismemberment (AD&D), Health Savings Account (HSA), and Flexible Savings Account (FSA).